John Bennett retired from the Central Intelligence Agency in 2013 after a 33 years of service. His senior assignments included: Director, National Clandestine Service, Deputy Director, NCS for Community Humint, Chief, Special Activities Division and Deputy Chief, Africa Division. Mr. Bennett served 18 years overseas, mostly in Africa, including four tours as a Chief of Station. He engaged in Cold War programs directed against Libya and Angola, managed counter-terrorism operations in East Africa and Southwest Asia and led collaboration between the NCS and other Intelligence Community, Defense and Law Enforcement partners. Prior to joining CIA, he served as an infantry officer in the United States Marine Corps. Mr. Bennett has Bachelor’s Degree from Harvard University and a Masters Degree from Georgetown University. His many awards Include Distinguished Career Intelligence Medal, the Distinguished Intelligence Medal, the DNI’s National Intelligence Distinguished Service Medal and The Secretary of Defense Distinguished Public Service Medal. 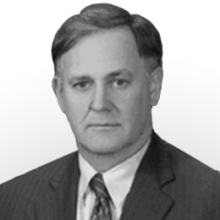 Mr. Bennett currently serves on the board of the Intelligence Community’s professional journal “Studies in Intelligence and is on the Board of Directors of the CIA Retirees Association.